For some, finding a long-forgotten arcade machine and getting it into the hands of a collector who will care for it can be a thrilling experience. Few arcade excavations (or arcade raids, as The Arcade Blogger‘s Tony Temple calls them) can match the bounty that Oliver Moazzezi found inside The Duke of Lancaster, a ship that’s been resting in Llanerch-y-Mor, North Wales since 1979. 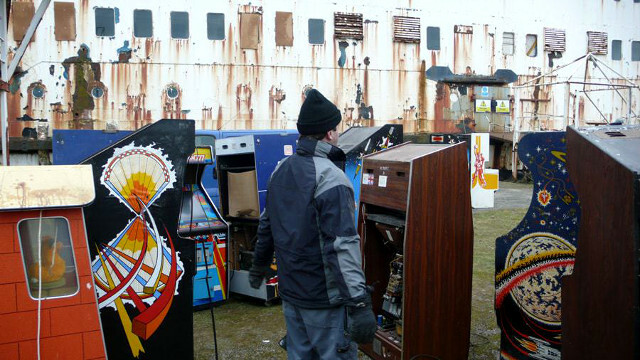 The ship, once a pleasure cruiser, held over 50 arcade cabinets just waiting for someone like Moazzezi to find them a loving home. The Arcade Blogger did a very thorough article that documents the whole process, from finding the cabinets to getting them out of the ship, and it’s fascinating. We definitely recommend checking it out.